A termite is a six-legged winged insect that nests in and subsists on various types of wood. There are four types of termites in the United States: damp-wood, dry-wood, subterranean and Formosan termites. None are considered carriers for illness or disease. Damp-wood termites infest wet, outdoor wood; dry-wood termites nest in buildings and subterranean termites attack trees, decks and house foundations. Formosan termites, or “Super Termites,” are an aggressive species that chew through wood, plastic, plaster and even thin copper and lead flashing, according to Pest Control Facts.org. No specific illness or disease has ever been connected to termites or to termite infestations, according to a Termite.com website. The website further states that termites cannot bite or sting. While termite infestations do not cause illness, they may cause severe allergic reactions or asthmatic attacks, according to Termite Institute.com. Heating and ventilation systems can create exposure to dust and particulates from termites and termite nests. 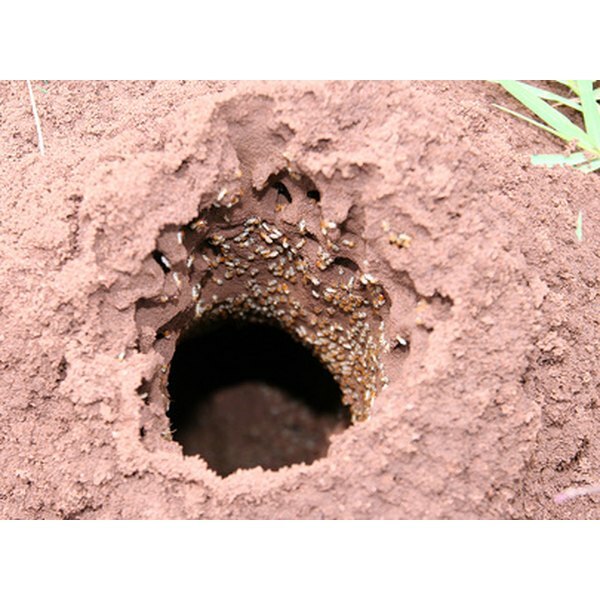 Termites create nests by cementing soil and wood together with saliva and feces. Exposure to termite nest particles, saliva and feces can trigger allergies and asthma, according to Pest Control Facts.org. Illness can be caused by exposure to the chemicals used in termite pesticides. According to a Chem-Tox.com website on the pesticide Chlordane, many U.S. homes treated prior to April 1988 by the now-banned pesticide, Chlordane, remain contaminated. Chlordane still contaminates some 30 million previously treated homes in the United States, according to Chem-Tox.com. Chlordane exposure can contribute to illnesses that include cancer, neuroblastoma, leukemia, chronic infections, bronchitis, asthma, sinusitis, infertility and neurological disorders. What Is the Effect of House Mold in Infants?